Politburo member and secretary of HCMC Party Committee Nguyen Thien Nhan yesterday received a delegation of Singaporean and Australian investors who have come to learn about investment opportunities in the city. On behalf of the investor delegation, chairman of Australian Sakkara Group Neil Wilson, said that members of the delegation have invested in some real estate projects in the city for a long time. 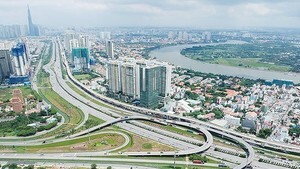 At present, they are paying attention to city infrastructure investment programs such as canal cleanup, old apartment block upgrading and rebuilding, Thu Thiem new urban area, Build-Operate-Transfer (BOT) projects and state own enterprise equitization with the total investment capital possibly reaching US$1.5 billion. 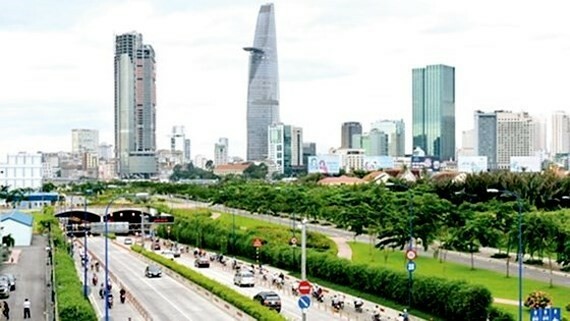 Mr. Nguyen Thien Nhan said that HCMC has invited foreign investors for many major projects such as six canal house removal and resettlement projects, rebuilding of 50 old apartment blocks and construction of items in Thu Thiem new urban area. Especially, the city is ambitious to develop an eastern innovative district comprising Districts 2, 9 and Thu Duc and Thu Thiem new urban area. Mr. Nhan required agencies to contact and facilitate the investor delegation’s search for investment and cooperation opportunities in the city.